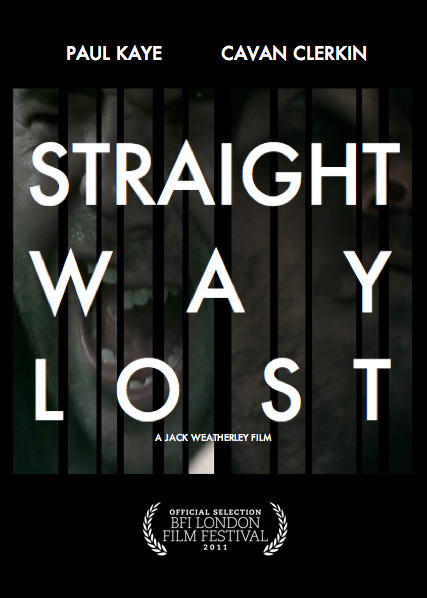 Here’s a rather intense trailer for Jack Weatherley’s new short film, Straight Way Lost which he both wrote and directed. It stars Paul Kaye (IT’S ALL GONE PETE TONG), who appears this year in Pusher and Cavan Clerkin (GANGSTER NO.1) with a score from Paul Kaye’s which as you’ll see from the trailer, is a character in itself. The short has recently been playing at various festivals around the UK including Raindance and Leeds and was recently selected in the 55th London Film Festival. We’ve been putting up a lot more brilliant short film trailers and full versions recently and it really shows that the short film is a place where anyone and everyone can showcase their work. Not everything is going to get picked for these awards but if you’re a budding filmmaker or just want to have a go at making something unique, then grab a camera and get filming! Here’s the trailer for Straight Way Lost and keep your eyes peeled for more from Jack Weatherley!